I was marginally aware of the cartoonist Fletcher Hanks for some years, but it wasn't until a couple of years ago, when Leighton Connor let me borrow his copy of I Shall Destroy all the Civilized Planets, that I really gained a solid interest and appreciation for Hanks and his bizarre creations. Fletcher Hanks is the Ed Wood of Golden Age comics. It's not that he was a bad artist or writer, his imagination and creativity just far exceeded his talent. 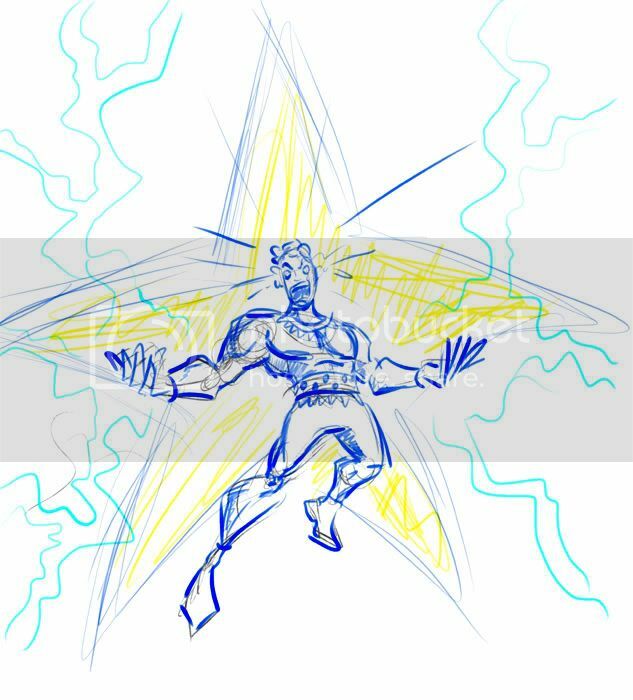 Stardust, Fantomah, and Space Smith are weird relics of the Golden Age, when the comics medium was still in its larval form, unsure of how it would develop. I love this kind of stuff. So when Leighton asked if I wanted to help right a QAGS game based on the works of Fletcher Hanks (it's all public domain now), I leaped at the chance. 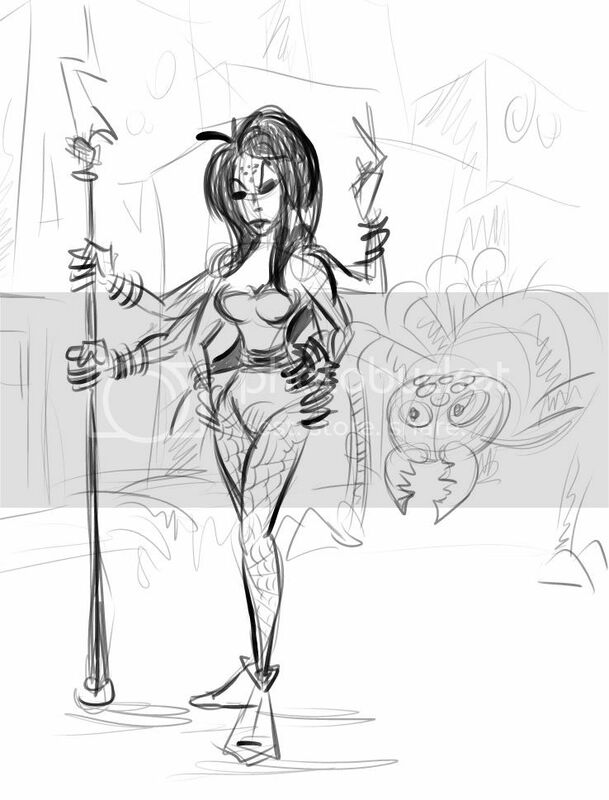 The game will be called Leopard Women of Venus, and it's inspired by a single pannel of an ols Space Smith story. Despite a number of setbacks over the past few months, I've really enjoyed working on the project. It's coming together nicely, now, and I can't wait to share it with the world. At any rate, here are a few sketches I've done recently. I don't know if they'll all be in the book, but they're great for juicing up my imagination. Oh sweet merciful God, no! It's Stardust! Monkeys Took My Jetpack... LAUNCH!